Unlike most people, I don’t start my day with coffee or tea. 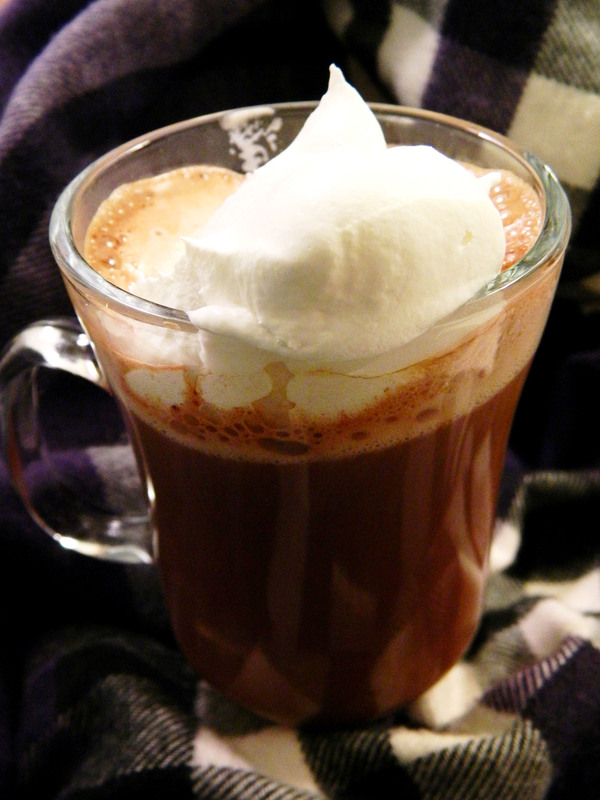 I do however enjoy a nice hot chocolate, especially now that the weather is turning cooler. Obviously, the best way to make hot chocolate is with steamed milk and a hunk of good quality chocolate, however I am not a barrista and that sounds like too much work. The other alternative is instant hot chocolate which usually contains weird oil type substances and other unpronounceable ingredients… Well, at least it used to! Enter Carnation Simply Hot Chocolate. It’s only available in a giant vat from Costco (70+ servings) but man, is it EVER good. So rich and smooth with no chemical or oily flavours because there isn’t any: it only contains sugar, cocoa, dried milk, vanilla and salt. The only thing that could improve it is a dollop of whipped cream. Or maybe a shot of Bailey’s. Oh yeah. I need to see if they carry this at Costco in the US! You might want to try it with the water. It’s SOOOOOOOOO rich that you won’t even notice. How much mix do you use per 8 oz cup?